Ross Lester is the founder of Everybody Drum Some, and the name of his company conveys the heart of a teacher. His mission is to communicate the wonders of rhythm and drums with others and to make the way easy for people to make a joyful song together. As a child, Ross found that his attention was drawn towards Animal from the Muppet Show, the Blues Brothers movie, and the local rock radio station in his hometown of Little Rock, AR. He spent several years playing in bands, gigging, and recording in Memphis and Nashville pursuing the dream of becoming a Rock Star. His somewhat self-centered goal in life was, "Everybody come and watch me drum." In the years since, Ross has worked in various settings throughout middle Tennessee with youth groups, adult recovery groups, at-risk kids, military veterans, churches, schools, businesses, and civic leaders, as well as everyday folks who are drawn to the drum. Helping people experience the pleasure of making music has become his greatest treasure. Today his hope is to see Everybody Drum Some! The Drum Disciples is a band of Ross' friends and students who get together from time to time to play drums and make a rockin' rumble at someone's house, in the park, and at occasional public performances around Nashville and Murfreesboro. The desire of The Drum Disciples is to have a great time, bring joy to others, and give glory to God in the music they make. 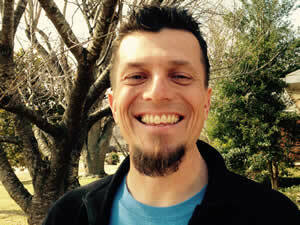 Ross is the director of the Creative Rhythm Percussion Team, a group of high school and middle school students at the Rutherford Tutorial Academy in Murfreesboro, Tennessee. Exploring rhythms from around the world as well as making up their own jams; the Creative Rhythm Percussion Team has amazed and entertained thousands of appreciative fans with their rhythms and theatrics for over ten years. His first love was playing the drum set, and from time to time Ross returns to that seat to play drums for the CJ Vaughn Trio. For more info about this blues/funk/soul band, visit their website at www.cjvaughn.com.